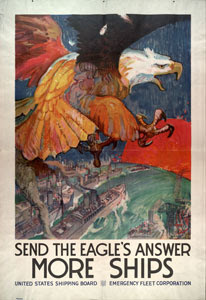 What happens when it appears the U.S. might not be - um- willing (or able) to assist allies fend off the aggressive territorial claims of China? Well, you just might get countries in the region sending out feelers . . .
President Aquino will seek Japan’s help for the Philippines’ Coast Watch” initiative, which seeks to ensure free and safe passage along vital sea lanes especially in the West Philippine Sea, Transportation and Communications Secretary Manuel Roxas II said yesterday. Roxas said the President will discuss maritime security issues with Japanese Prime Minister Yoshihiko Noda in their bilateral meeting today in Tokyo. Earlier, Foreign Affairs Assistant Secretary for Asian and Pacific Affairs Maria Theresa Lazaro said the Philippines was hoping to receive a ship, radar and communication facilities and other maritime assistance for the Philippine Coast Guard after Aquino’s official working visit. The Coast Guard is under the DOTC. Lazaro said Aquino and Noda would also discuss the West Philippine Sea issue as a “regional” concern but clarified there would be no exchange of notes on the matter, only “exchange of views” on the need to maintain peace and stability in the area. Asked if Japan would provide maritime assistance to the Philippines, Lazaro said yes but the exact nature of support would still have to be worked out. She said there had also been mention about a ship “but no finality” yet. Roxas said the Coast Watch was important because like many other countries, Japanese commercial ships regularly sail the West Philippine Sea. Japan has also been assisting Filipino seafarers against pirates. Roxas said the Coast Watch program covers anti-terrorism efforts, environmental protection and free navigation. Malacañang clarified, however, that Aquino is not shopping for allies in discussing the West Philippine Sea issue with Noda. He stressed that a peaceful resolution of the West Philippine issue is in the best interest not only of the Philippines and Japan but other countries in the region as well. 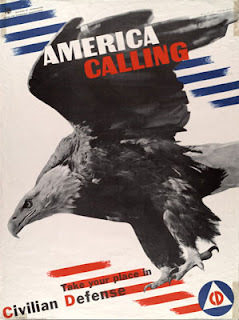 “They (Japan) are concerned (about) the freedom of navigation. The products they import, the products they export pass through the West Philippine Sea hence it is a matter for them that the West Philippine Sea remains open for navigation,” Lacierda said. “We need a regional solution from among the claimants… Regional solution will be beneficial to all regardless of whether you are in proximity to the West Philippine Sea,” he said. “As long as we have guaranteed freedom of navigation… that would be something beneficial for all those who are plying through the West Philippine Sea,” he said. 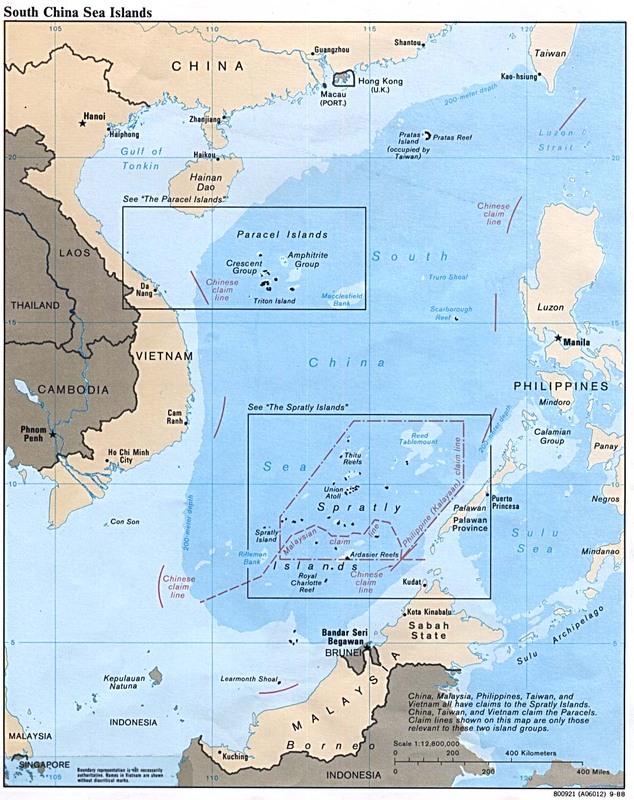 The Philippines and China, as well as Brunei, Malaysia, Vietnam and Taiwan claim either part or the entire Spratly Islands, which is located in the West Philippine Sea. The island group is said to be rich in mineral resources. 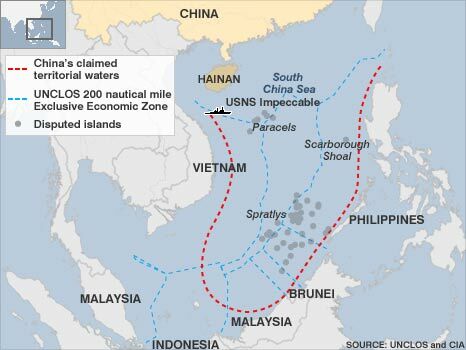 Just like the Philippines and Vietnam recently, Japan accused China of intruding into its territory in 2004. Japan claimed that China had intruded into its Senkaku Islands in 2004 but no armed hostilities took place. Last March, two Chinese ships reportedly harassed a civilian vessel commissioned by the Philippine energy department while conducting an oil exploration survey at the Recto Bank (Reed Bank) near Palawan. Recto Bank is well within Philippine territory and is not among the disputed areas. 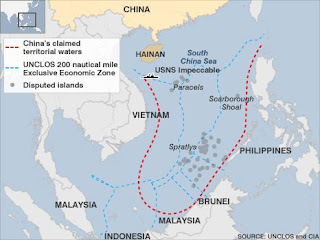 The Philippine foreign affairs department also claimed that a Chinese Marine surveillance vessel and other People‘s Liberation Army Navy ships were sighted in the vicinity of Iroquois Reef-Amy Douglas Bank in the West Philippine Sea last May. The ships allegedly unloaded building materials, erected an undetermined number of posts and placed a buoy near the breaker of the Iroquois Bank. Iroquois Bank is located southwest of Recto Bank and east of Patag Island (Flat Island) and is within the Philippines’ 200-nautical mile exclusive economic zone. Last June, the Navy removed a “foreign marker” in Boxall Reef, about 125 nautical miles from the shorelines of Palawan. In the same month, an unidentified aircraft buzzed over a group of fishermen in Dalagang Bukid Shoal, which is located about 130 miles from Balabac Island in Palawan. The Philippines has expressed readiness to bring the dispute before the International Tribunal for the Law of the Sea, an independent body that adjudicates territorial disputes. Aquino and Chinese President Hu Jintao vowed to resolve the issue peacefully during their meeting in Beijing early this month. 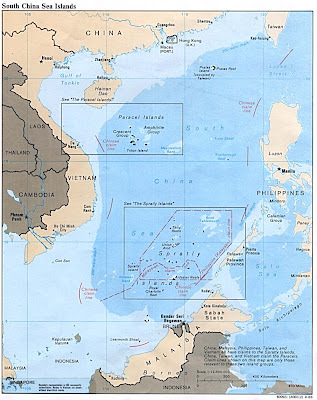 Information on China's "Cow Tongue" territorial claims here and the links therein. I am happy to see two allies working on this issue and wonder what the Seventh Fleet will do to support our international rights to passage? Had not heard of international tribunal, can you link to details? Is/has it been effective in past? their monstrous power never toils.